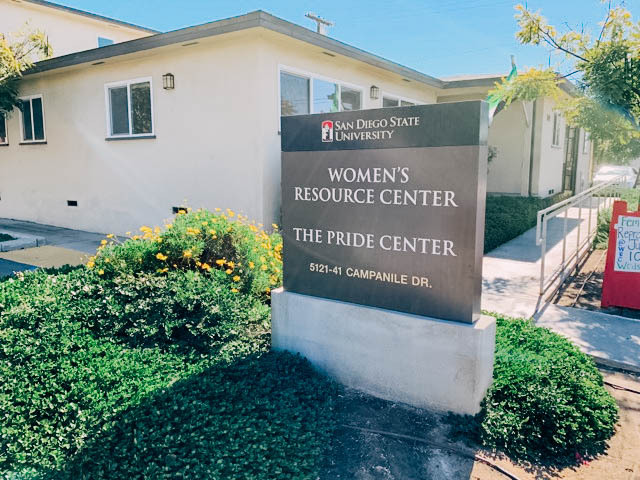 San Diego State’s Women’s Resource Center is at the forefront of combating sexual violence on campus through an array of educational and community programs. The Brave Project, now entering its third year, is one such program that aims to educate students, faculty and staff about sexual violence at SDSU, and help them become agents of change in the campus community. However, the training is not the same every semester. As the discussion surrounding sexual assault and violence evolves, so does the training, incorporating current events and global issues. “The Brave Project is updated every semester to address culturally relevant content like the Supreme Court confirmation hearings for Brett Kavanaugh and the abuse accusations involving R. Kelly,” Jessica Nare, Women’s Resource Center coordinator, said. Hosted by the Women’s Resource Center, The Brave Project is a free, comprehensive four-part training on sexual violence open to all members of the SDSU community. “The Women’s Resource Center decided to start The Brave Project to create a place where folks on campus could explore sexual violence through the lens of feminist thought and with the goal of creating structural change,” Nare said. Each of the four sessions has a distinct focus and is meant to encourage participants to engage in a constructive dialogue while at the same time providing them with essential knowledge on topics such as identity and power as well as the policies and procedures surrounding violence on campus. The Brave Project brings students, faculty and staff a greater understanding of sexual violence in the SDSU community. It also provides participants with a safe and inclusive environment to connect with others who are passionate about the issue. Social work senior Marlene Martinez participated in The Brave Project fall 2017. She said the training was a great place to learn about sexual violence and the steps she can take to help solve the problem. Although The Brave Project is a free program, registration is required, and space is limited. To receive the certificate at the end of the program, participants must attend all four sessions. However, the Women’s Resource Center has made an effort to accommodate different schedules by offering each session twice over eight weeks. The first training begins on Monday, Feb. 11 with session one “Policies and Procedures” and continues every Monday until March 4. The Monday sessions are from 3:30 p.m. to 5:30 p.m. in the Women’s Resource Center. The second training begins on Wednesday, March 6 and ends Wednesday, March 27. The Wednesday sessions are from 11 a.m. to 1 p.m. also in the Women’s Resource Center. For more information on how to register for The Brave Project, in addition to a detailed list of all of the resources provided by the Women’s Resource Center, visit its website.